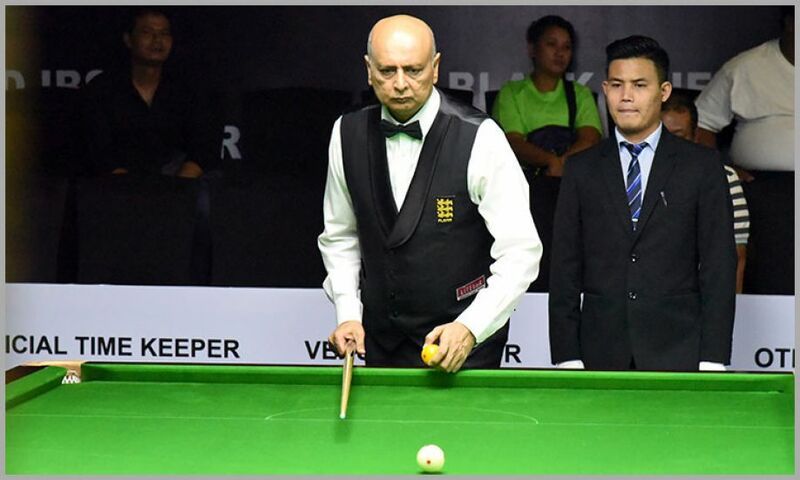 The break dashed the chance of Sourav Kothari to be the group topper and with that Nalin qualified as No.1 in Group F, displacing Sourav to No.3. Myanmar player Aung Htay, who is another qualifier from the group, stayed No.2. When Sourav made the opening shot, Nalin quickly got into his groove and precisely compiled the break of 321 to leave Sourav way behind. Sourav, on his visit attempted a recovery but his break got terminated after accumulating 78 points. Nalin once again came good in next visit and crafted break of 136 points to come very close to victory. After couple of safe shots, in the final visit, Nalin made balance 20 points to mark huge victory margin against Sourav and advanced to last-16 stage of knockouts.